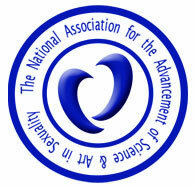 This membership is for professionals and practitioners who work in the field of sexuality. You may have access to all of our educational resources, and have permission to list your services, educational events such as webinars, workshops and more through our internal member social network as well as be listed in one of our directories and be featured under our member benefits section. You will also be eligible to advertise your services on our main public website NAASAS.org under the resource page.